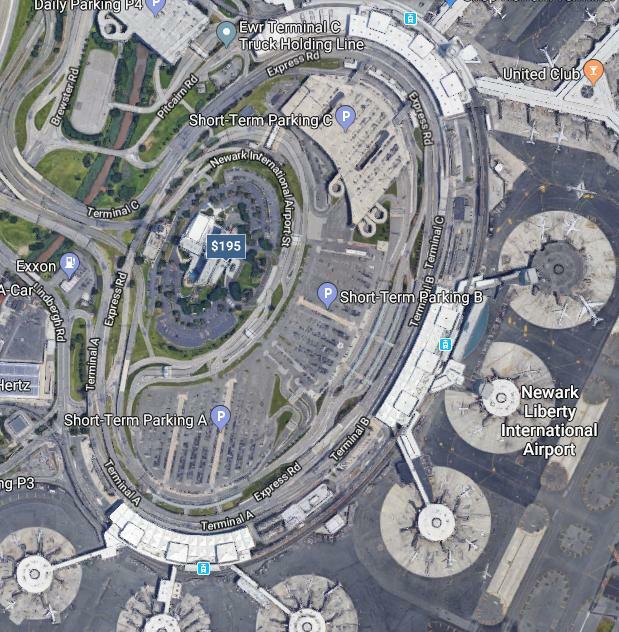 Does Newark (EWR) have a hotel actually in the airport? Failing that, the best one for a Terminal B departure? There's the Newark Marriott, which while not inside the airport is about as close as you can get. 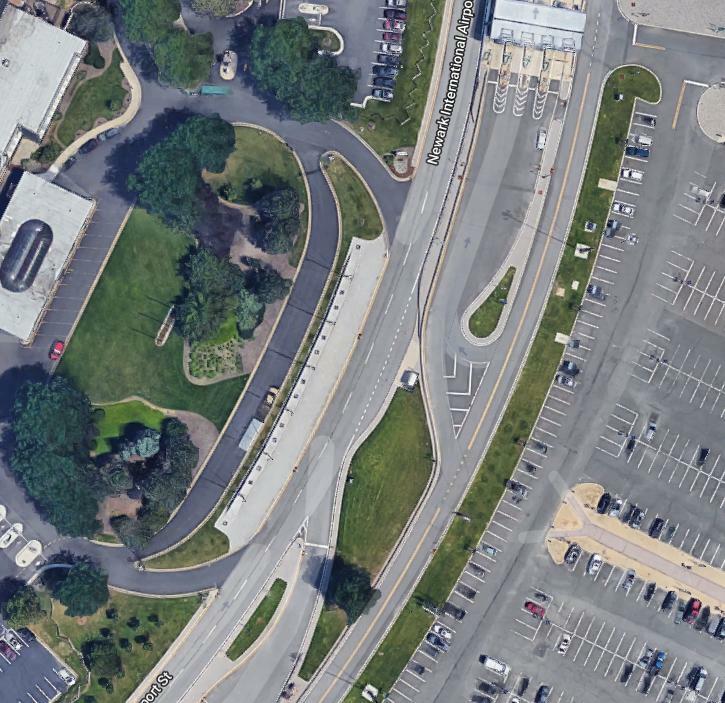 It's on the other side of the parking areas from the terminal as shown in the Google Maps image below. The $195 tag marks the hotel location across the parking lot from Terminal B. They do have a shuttle to the airport, though on the couple of occasions I've stayed here before a very early morning departure, I've walked through the parking lot and across the road to and from the hotel. Note that this was very little traffic at the time. Crossing the road at other times and/or with a lot of luggage might not be recommended, it's not really a pedestrian friendly crossing. Here's a close-up shot of the road between the parking lot and hotel. The Newark Liberty Marriott is in the airport. To walk to it you have to go through the parking lots. Not the answer you're looking for? Browse other questions tagged hotels ewr or ask your own question. Is there a United transfer bus at Newark airport from Terminal C to Terminal B? I saw a lakeside castle or hotel from the air, north of Newark. What is it? How to transfer from JFK to Newark using public transportation? Is there a JFK airport hotel which allows cats? Overnight at Schiphol airport or hotel needed? Where do I pick up an Enterprise rental car at EWR?